This is the type of CD you can sing along to and really listen to, but also makes great background music especially when preparing for Shabbos. There’s music throughout, but it’s gentle acoustic music and the voices star. I would have appreciated an acapella version of the tracks given all the beautiful harmonies. it’s a gentle song full of harmonies. One I really enjoy. 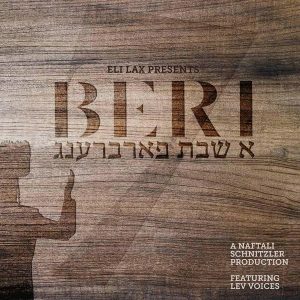 If you are a Beri Weber fan, or a fan of good Shabbos music, or a fan of medleys, this is one you must add to your collection. Enjoy!